It has been quite difficult to write about these complex and sophisticated pieces. For a start they are stunningly beautiful. Of course that shouldn't make it difficult to describe them or talk about this furniture but then the superlatives start to stack up and begin to slide into hyperbole and loose their impact. Also the pieces occupy an interesting middle ground: this is furniture - or at least they are pieces designed to furnish a room, which is slightly different - but in some ways they are closer to being sculpture than most furniture because they explore so carefully ideas about volume and space and explore the role of light and shadow in defining both. A strong feature of the screens is their texture although it may seem slightly odd to describe something on this relatively large scale as texture. As well as through touch, of course, texture is usually revealed by light playing across a surface to highlight changes on the surface that show that it is not smooth - so the texture of rough concrete or, and more appropriate here, the texture of a woven fabric or the texture of the surface of a woven rush mat or of a basket. Nor are conventional definitions of style particularly appropriate here. The screens are minimalist in that they have a relatively simple repeat pattern and are made in a material with a uniform tone and colour and there is no added decoration - any pattern is formed by the technique of construction and not applied - but rather than being minimal - which often now just implies simple or basic - these pieces are better described as being restrained or sober and controlled. 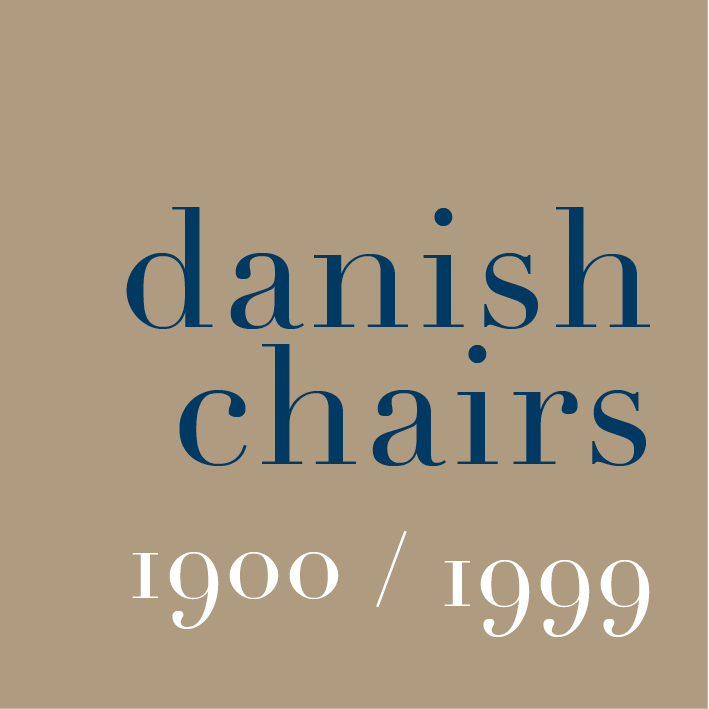 Certainly the gentle curves of the chairs, when seen in profile, are complex but there is a purity of line and that is what, in part, makes them so beautiful … and that is said with no apology for slipping into hyperbole. Nor do the pieces really conform to a strict sense of period or location because although they are, in some ways, typically Scandinavian - pale wood and high-quality construction for a start - they can also be seen to relate to Japanese and Chinese techniques of carpentry where separate elements are held together by intersecting and locking the parts into place rather than being fixed together by using carpenters' joints or screws or glue. Nor are these forms and shapes specifically related to timber, in its most natural form, because Else-Rikke Bruun exploits, in a very sophisticated way, the intrinsic qualities of the plywood that she uses and plywood is manufactured rather than being timber that has simply been felled and then sawn and planed smooth. But also the screens are reminiscent of origami and could be made in paper or card although, of course, then they would be of a different scale. These pieces show Else-Rikke Bruun exploring and testing, in different ways, both a material and the different technique or ways of working with that material … here the shaping and bending of plywood so that it retains a complex shape. Plywood can be bent and then held under tension, as in the screens, or, with the construction of the chair, sheets of plywood can be shaped with heat and pressure so at normal temperatures the separate sections are flexible but retain the shape of the curve of a former or mould. The screens and the chair are important because they illustrate another aspect of the design process. It is fascinating to see the work of a designer who knows instinctively that they have reached a point with a design when it is absolutely right. Many designers would have to think carefully before being able to explain to someone why one part of their design is not longer or not a sharper curve or a thicker dimension but by instinct and through experience they know or they feel when something is absolutely right for what they are trying to achieve. And that really is difficult to explain.